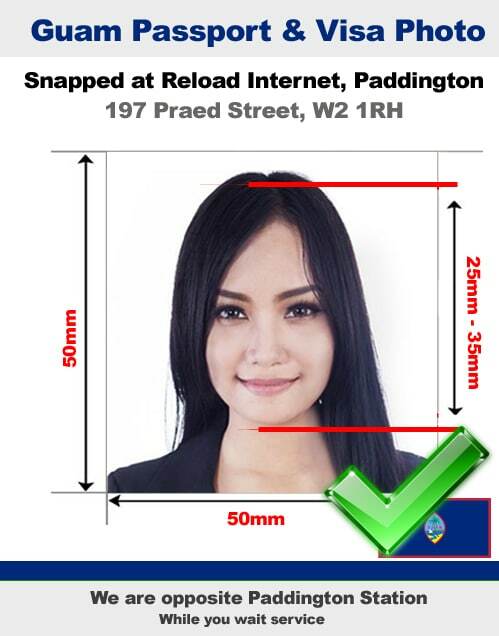 If you require a Guam passport photo or visa photo then come to Reload Internet, located in Paddington, London, our highly experienced and professional team will be glad to assist you. As per the exact requirement requested by the Guam authorities, our team can guarantee that the photographs you receive from them will meet all of the specifications. 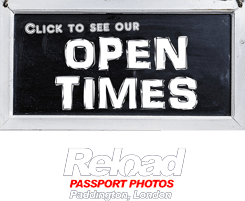 You do not have to wait for long as we will process and deliver the photos within a few minutes of your arrival in our store which is situated less than a 30 second walk from Paddington train and tube stations, no appointment is needed. You do not need to worry about timing when you visit our store in Paddington, as we are open every day of the week from early morning until late into the evening. Our Guam passport photo and visa photo prices are affordable, and we will provide you with 4 photographs. In the unlikely possibility that your visa or passport application for Guam gets rejected due to any problem with the photo, we will retake your photos completely free of charge. To know more about the requirements of a Guam passport photo or visa photo and the way in which we process it, watch this video. You will also have to ensure that the photos you provide with the application are of high quality and resolution to ensure that the Embassy of Guam does not have any problem with the photos you submit. Hence, do not take the photos in photo booths or using a computer, as there is a high possibility of the photo getting declined. We have seen customers who have taken their photos in photo booths and it had led to a rejection, wasting their time and money when they could have come to us and had their application pass the first time around. When you choose us for your Guam passport photo or visa application photo, you do not have to worry any further as we will provide you with photographs based precisely on the requirements requested by the Embassy of Guam, and we guarantee that you will not face any problems. You will have to submit two photos of size 50 mm x 50 mm and the photo should not be older than six months. Your face must cover 50-70% of the photo and hence, your head should constitute for 25-35mm in the photo. Maintain an expressionless face and look straight into the camera to ensure that your eyes, mouth and ears can be seen clearly in the photo. Only if you are required by religion or due to medical reasons, headwear is allowed, your facial features must be seen clearly with all the parts being visible fully. Do not get the photo clicked from a photo booth as it might result in some shadows on your face or on the background, which is not allowed by the Guam Embassy. Use a high quality printer, paper and a high resolution photo so that your face is seen clearly. Do not make any digital alterations as it might put you at a higher risk of rejection. Our specifications are taken directly from the official guidelines released by the Guam Embassy in regards to Guam passport and visa photos, which can be found here.